A Perfect Shine Cleaning Services: Why not relax and enjoy the holidays this year? • Deep cleaning: You probably keep up with your basic housework on a weekly basis, but if you are like most people, it is hard to find the time to do a deep cleaning of your home. What better gift to give yourself than to allow A Perfect Shine to come to your house with a professional cleaning crew to give your home a top to bottom cleaning to start the holidays off right. We will get all those hard to reach places for you, making your home the holiday showcase you want it to be when all your guests arrive. • Carpet Cleaning: Holiday parties mean holiday stains. Our steam cleaners work quickly and can remove the wine and food stains left over from a holiday celebration. With prices that are lower than our competitors, you will be amazed at how a small investment can make your carpets look like new again in a short time. • Hauling/ Removal Service: Plan ahead for new holiday gifts by clearing out clutter before all the new gifts arrive. 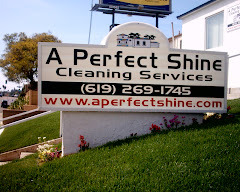 When you call A Perfect Shine we will send a professional crew who will quickly remove all your unwanted items for you. If you are planning on having overnight guests for the holidays, now is the perfect time to get rid of all the excess furniture and clutter in your guest room to make it ready for guests. Hiring us to haul away those things you no longer need costs a small amount, but can reward you with valuable new living space for years to come. • Yes- we do windows! You spend hours putting up your holiday lights and tree, why let the effect be ruined by streaky, smeared windows? With winter comes rain, and dirty windows. At this time of the year the last thing you need to worry about is one more cleaning chore. Why not call us and have the Perfect Shine cleaners come and do your windows for you? You have enough to do this holiday season. This year why don’t you worry about baking cookies and wrapping gifts and allow us to make this a happy holiday season for you by making your home clean and ready to be the backdrop to many holiday memories.